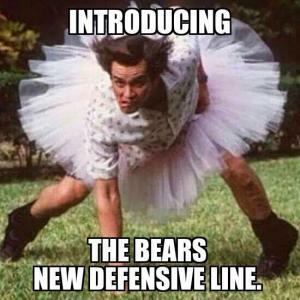 The Bears new defensive line. 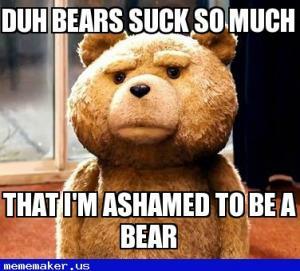 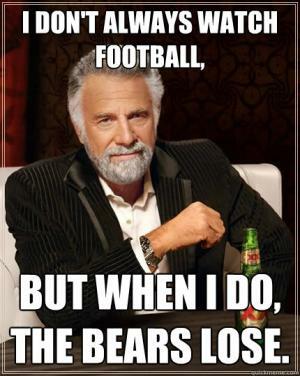 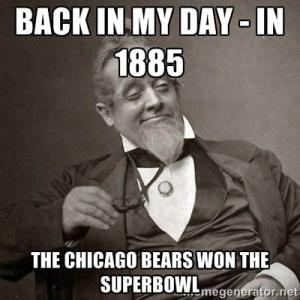 But when I do, the Bears lose. 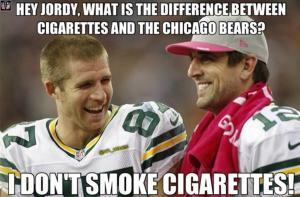 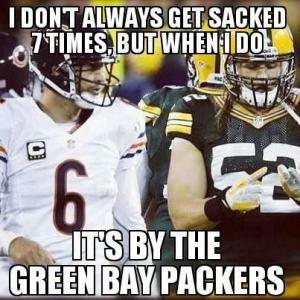 Hey Jordy, what is the difference between cigarettes and the Chicago Bears? 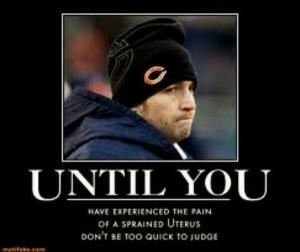 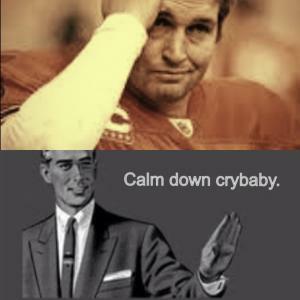 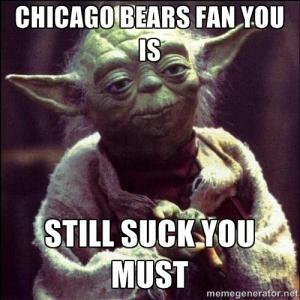 Oh, so you're a Chicago Bears fan? 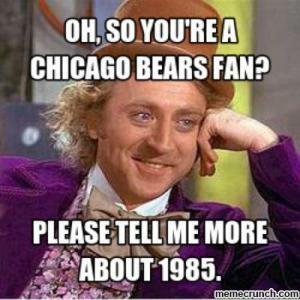 Please tell me more about 1985. 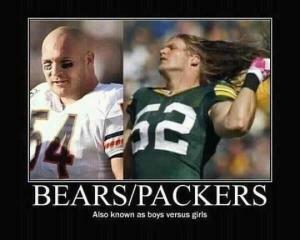 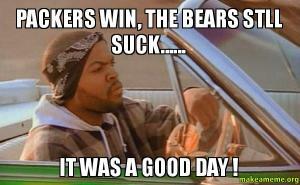 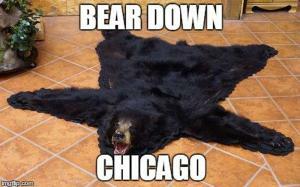 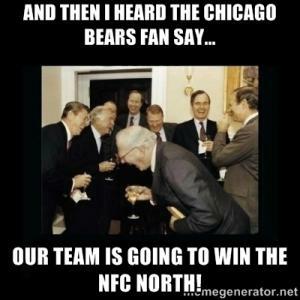 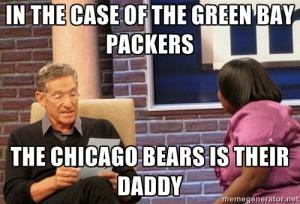 Our team is going to win the NFC North!